Mohammed Momani, the Jordanian information minister, said that cooperation between Moscow and Amman has been developing for a long time and in many dimensions and areas. 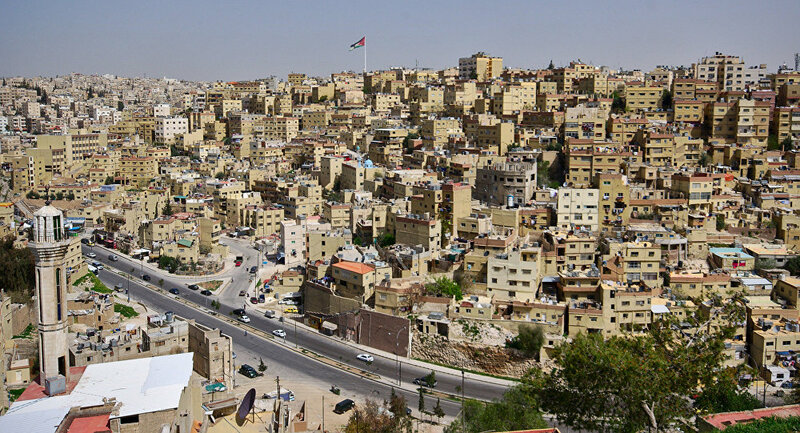 MOSCOW (Sputnik) – Major goals of a new Russia-Jordan anti-ISIL coordination center in Amman are to guarantee safety in the northern part of Jordan as well as to preserve peace and stability in Syria’s south, the Jordanian information minister told Sputnik Friday. Earlier in the day, Russian Foreign Minister Sergei Lavrov said that Russia and Jordan agreed to coordinate military activities in the fight against the Islamic State militants in Syria through a center to be created in the Jordanian capital. "The military coordination mechanism between Jordan and Russia is created because of…. the need to ensure safety of the northern borders of the Kingdom of Jordan and stabilize the situation in the southern part of Syria," Mohammed Momani stressed. Cooperation between Moscow and Amman has been developing for a long time and in many dimensions and areas, he outlined. "Jordan, undoubtedly, continues to be part of an international coalition, leading the war on terror," Momani added. Jordan participates in the US-led coalition’s efforts to combat extremists in Syria and Iraq by carrying out airstrikes and exchanging intelligence data. Russia began conducting its airstrikes against terrorists in Syria on September 30 at President Bashar Assad's request.